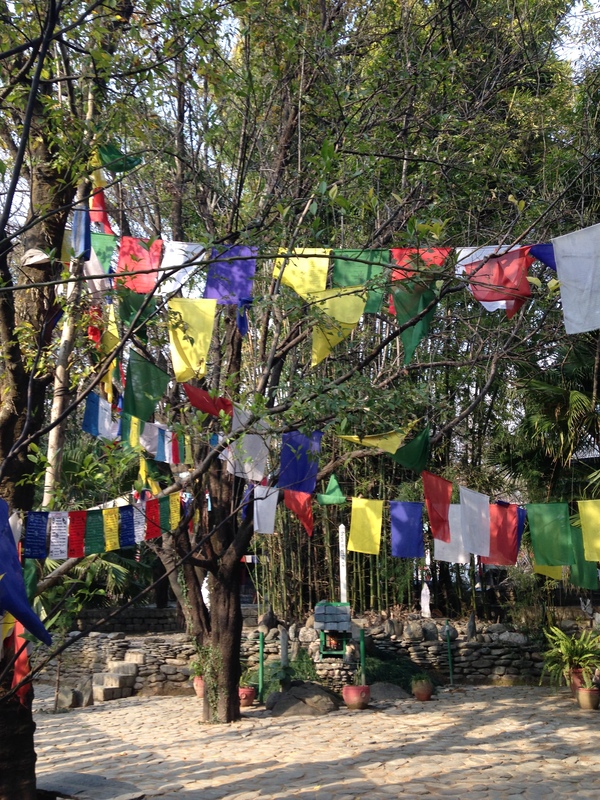 Our first stop approaching Dharamshala was the Norbulingka Institute complex of workshops and temples. 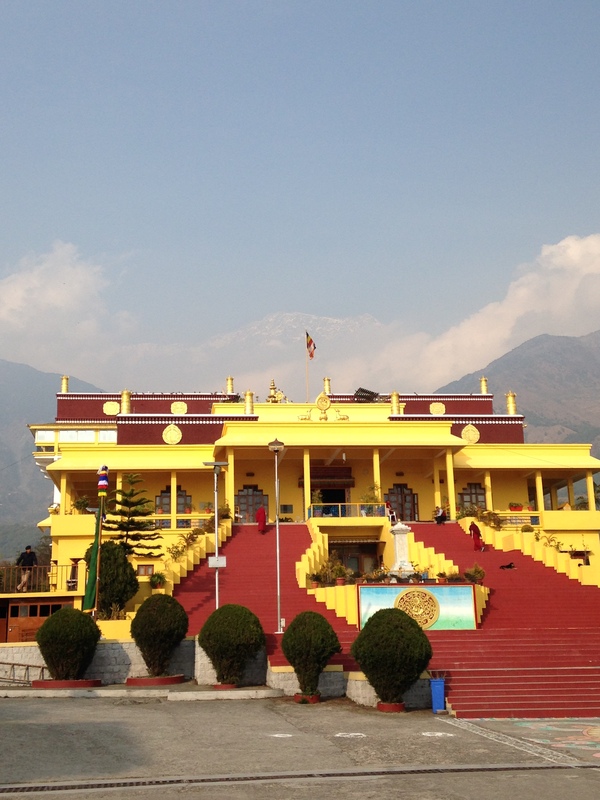 It is almost identical to the original Norbulingka Summer Palace in Tibet, but without the thrill of feeling as if you’re on top of the world. 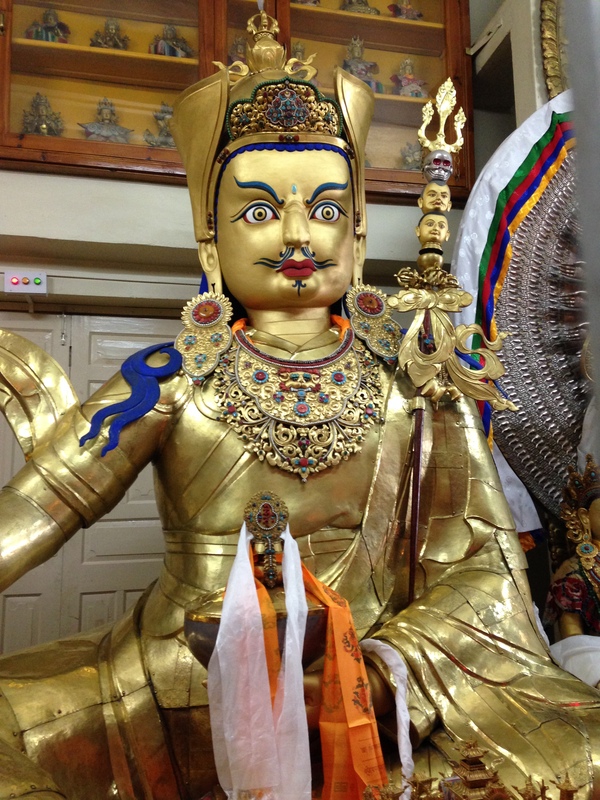 We watched craftsmen carving silver ornaments, creating magnificent intricate Thangka designs, wood prints and masks. 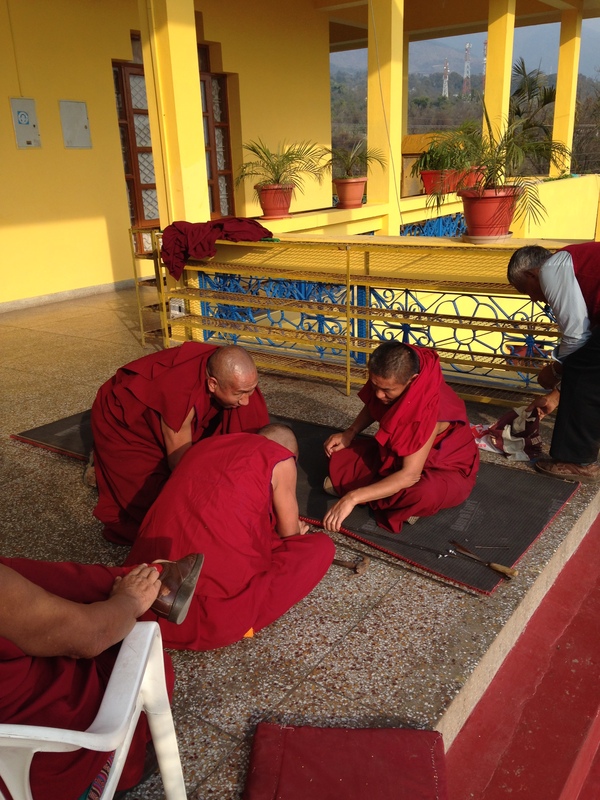 Immediately afterwards we looked around the Karmapa Gyuto Monastery, climbing the steps of its impressive entrance for a glimpse of the grand golden and red interior. Our welcome at Clouds End hotel, set amid winding lanes with fabulous views of the Himalaya, was both warm and genuine. After all, it is a long climb up to reach the charming if basic individual chalets. Each night we were offered complimentary drinks and snacks before dinner, seated around a roaring fire in comfortable armchairs. Sometimes we were hard pushed to get up and step the four paces across to the long dining tables where we were served delicious food prepared by the Maharaja of Jodphur’s own cook. On our second night we were treated to a glass or three of fizz: a taste of luxury afer some of our ‘beer or water only’ hotels. In the early morning of our second day we walked through Naddi village, where we had an insight into village life, including satellite dishes on top of tumbledown sheds, pack ponies weighed down by sacks of grain, and old ladies bent low carrying bundles of saplings, for what purpose I couldn’t establish. 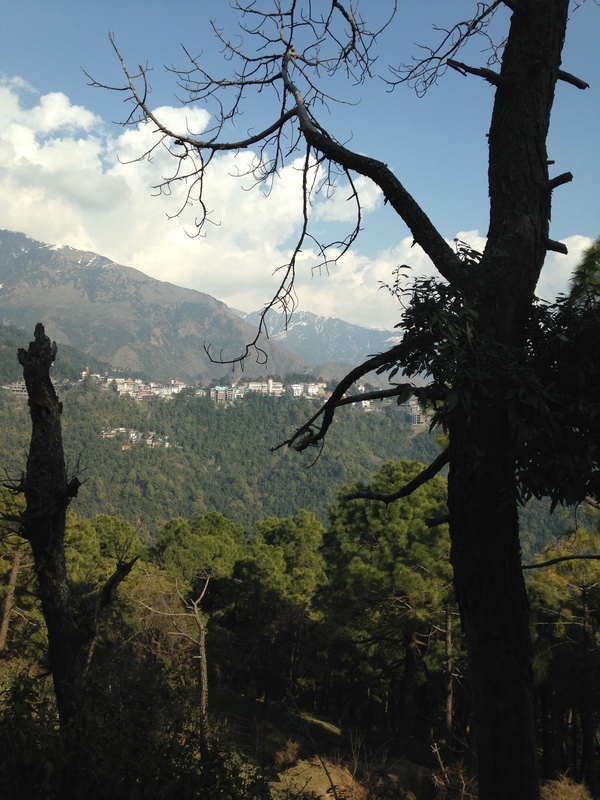 We joined our vehicles for the short drive to McCleod Ganj, home of the Tibetan community in India and where the Dalai Lama lives in exile. Once disembarked, our guide, Pasang, shared the story of each building as we passed by on foot, until we reached the end of a long street lined with clothing and jewellery stalls, medicine shops, and souvenir sellers. 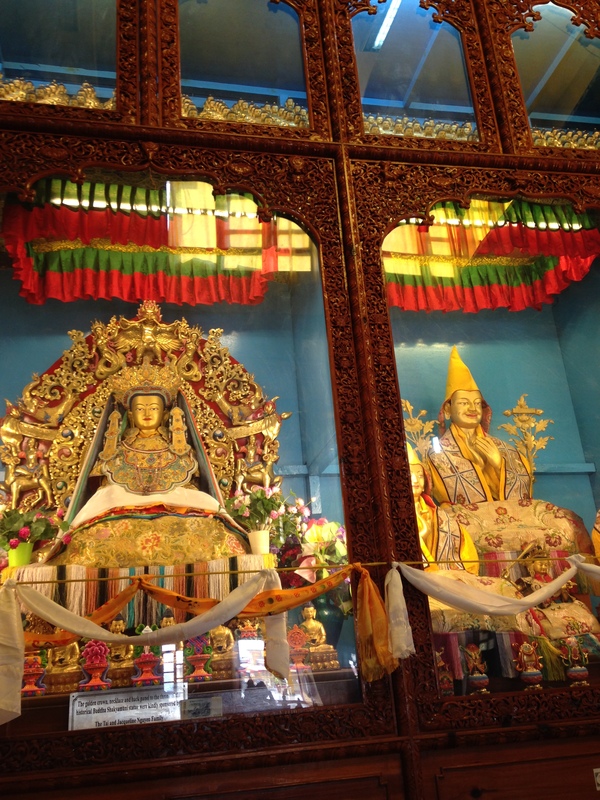 The village is advertised as a ‘mini Tibet’, but for me, it wasn’t as awe-inspiring as the real thing. There was a rather sad feeling about it, a sense of trying to recreate the land of the inhabitants’ birth, rather than creating a new community. 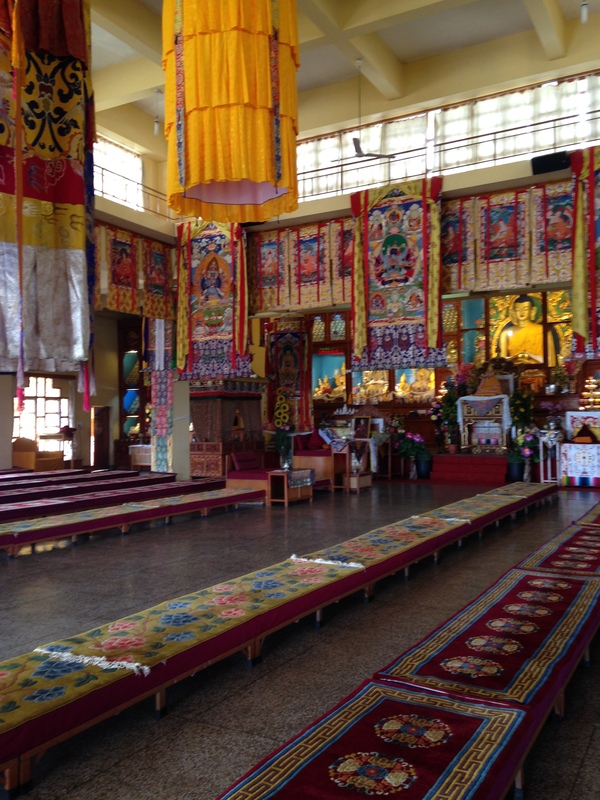 We arrived at the end of the street, where the Dalai Lama temple and monastery are located. 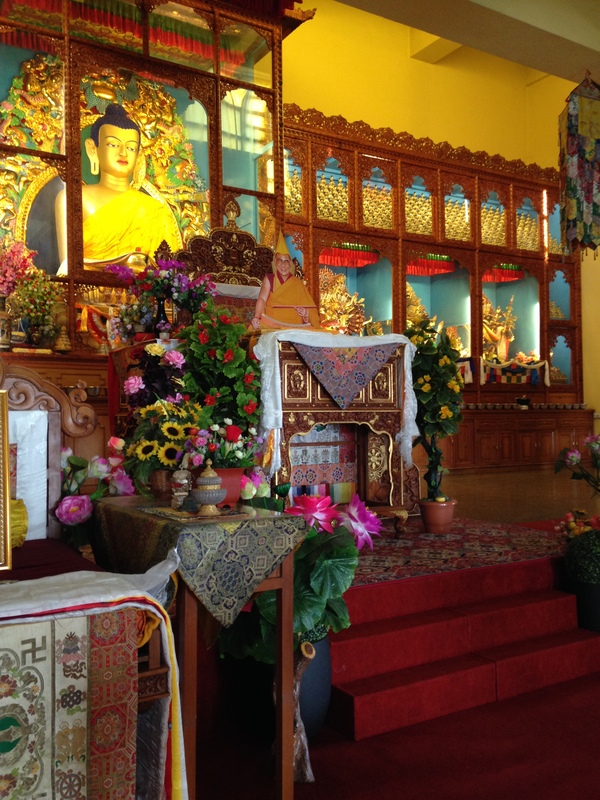 I had hoped to hear the monks chanting, but this was not to be. 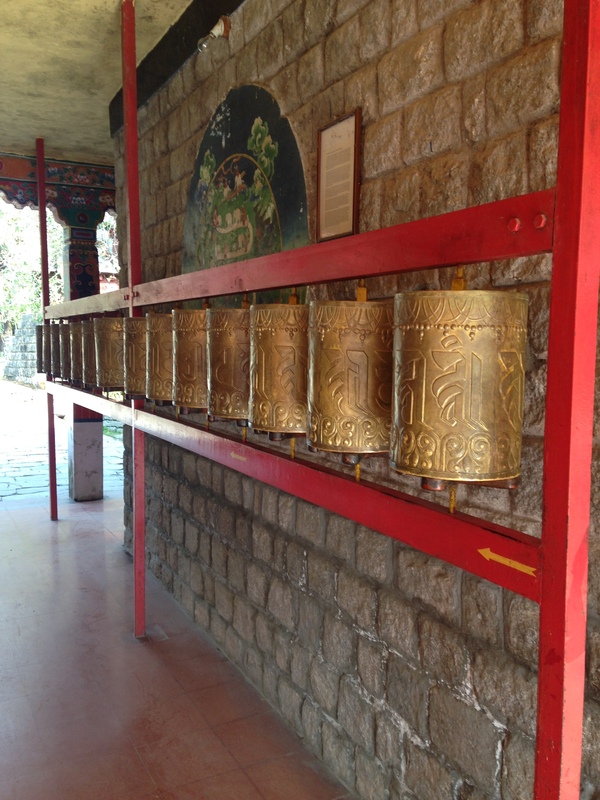 The chants in Tibet reminded me of bees humming, almost hypnotic, certainly evoking powerful emotion. 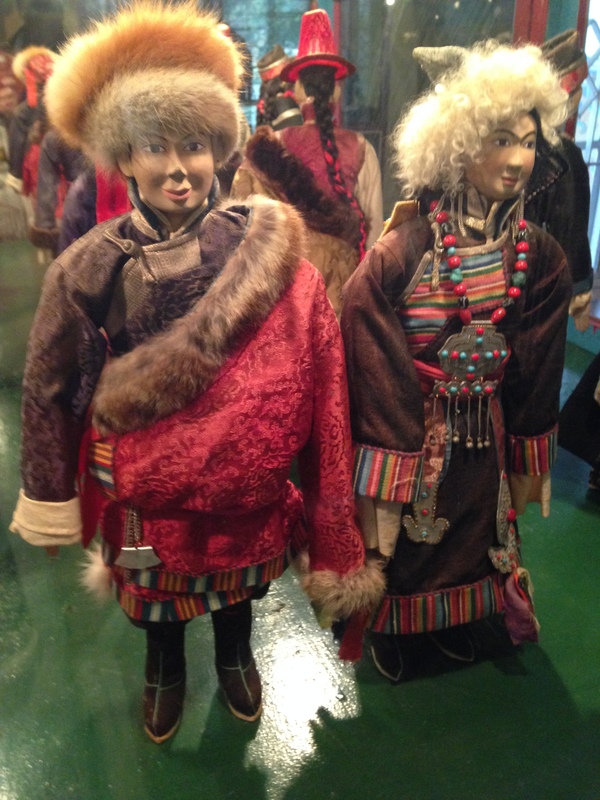 The Tibetan museum was very distressing; there are photographs of the atrocities committed by the Chinese invaders, of destroyed traditional buildings, of self-immolations, of Chinese troops marching like Nazis through once peaceful streets where pilgrims would prostrate themselves to their deities, now lying with bruised faces, broken arms, in tears. On our drive back to Dharamshala we passed the ‘Same Same but Different’ shop; perhaps a statement about brutality and oppression the world over?